Note: Mobile users might have to select the view desktop option on your phone to see the tab. Also keep in mind this is only for areas that have a Safeway. Click here to visit the Safeway facebook and like them. 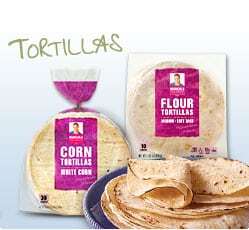 Then on theirtab, click get coupon and fill out the form on the next page to score a coupon for free Package Of Marcela Valladolid Flour Tortillas at Safeway.